This seems to be a very common problem for which everyone has their own creative solutions: How to store circular needles. After knitting for several years, it’s inevitable that one’s collection of tools will continue to grow. A boon of needles purchased at a thrift shop for a dollar each is a big contributor to this problem… a good problem, but a problem nonetheless. Until last week, my storage for circulars was an accordion file, intended for receipts. 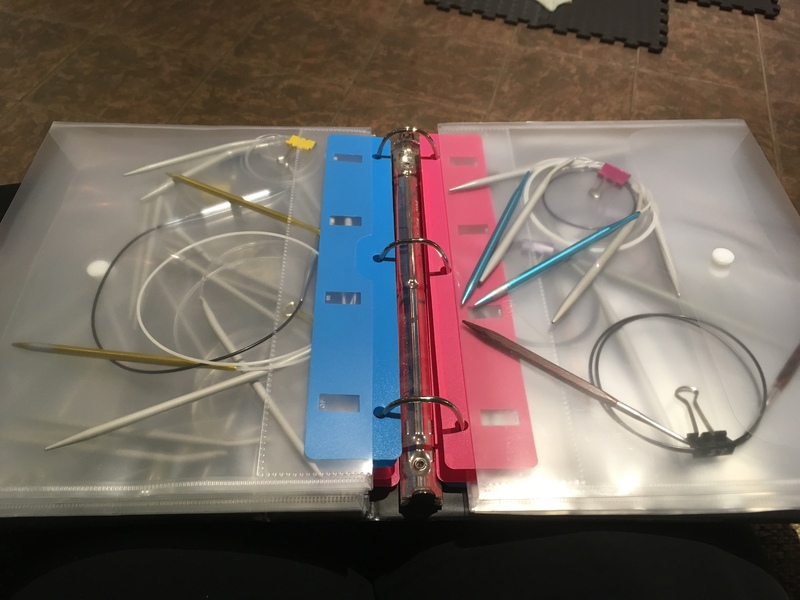 It worked well, with each size having its own pouch to be filed away in, and the different cords held in place and organized with binder clips, labeled with their size. 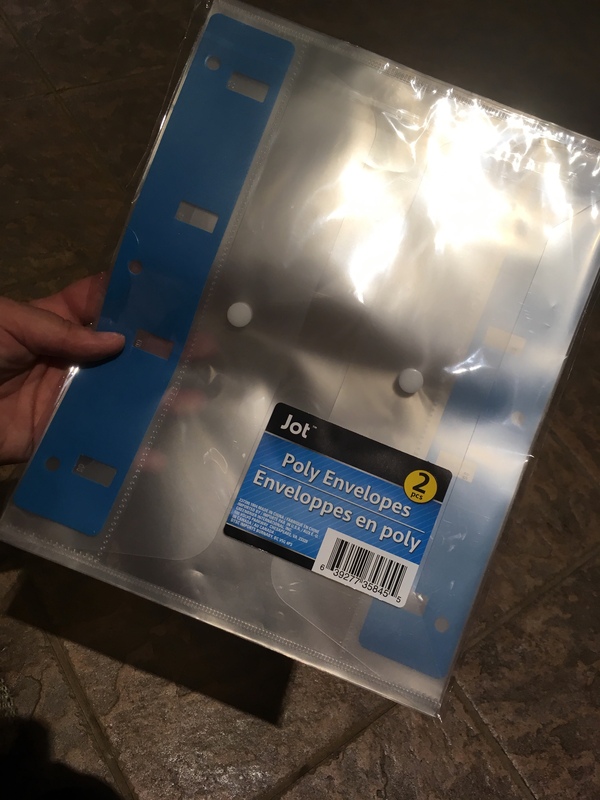 With all my new needles, however, my patience with this system was waning, because the file was practically bursting and the elastic holding it in place was under great strain. 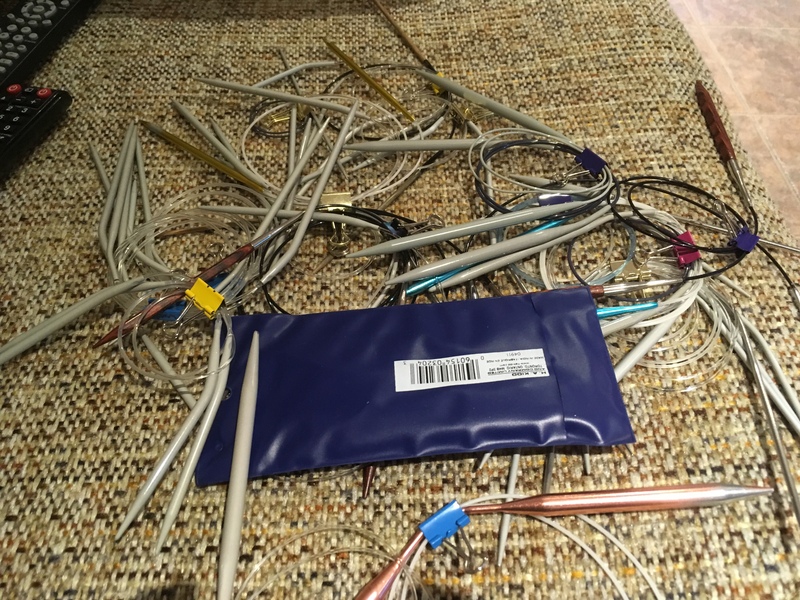 Now, each size (2mm-2.75mm; 3mm-3.75mm; 4-4.5mm, etc), have their own pouch, and the cords are still remaining orderly thanks to the binder clip. I’m much happier with this storage system. They are easier to access but just as organized and orderly. I think the only change I will make is to the binder they are currently in; the 1 1/2″ just isn’t big enough for these needles. This is just a glimpse into what works for me. How do you keep order for your circulars? Naturally, it made me laugh because of how accurate it is. I don’t know about you, but this is certainly a habit I’m guilty of. I’m not comfortable merely accepting the compliment with a simple thank you, but I always feel like I have to follow it up with something. Person: Wow, those are great socks! 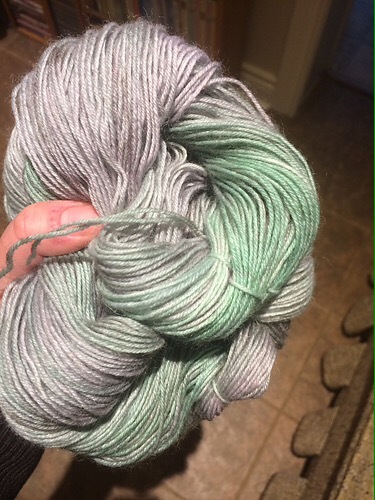 Me: Thanks, the yarn is self patterning. It makes it look fancier than it actually is. Person: Wow, I love that shawl. Me: Thank you, the yarn is ___________. The colour is lovely. Person: I really like that hat. Me: Thanks, the pattern is ___________, you should check it out. Person: What a great sweater. Me: Thanks, but I messed up here and here, and I would have done ________ differently. These are fairly standard responses I know I have given in the past. Why do we do this? A knitted object can take anywhere from 20 minutes to 20 months (or more) to complete. Time is spent choosing the yarn, knitting the object, and finishing it to the specifications. 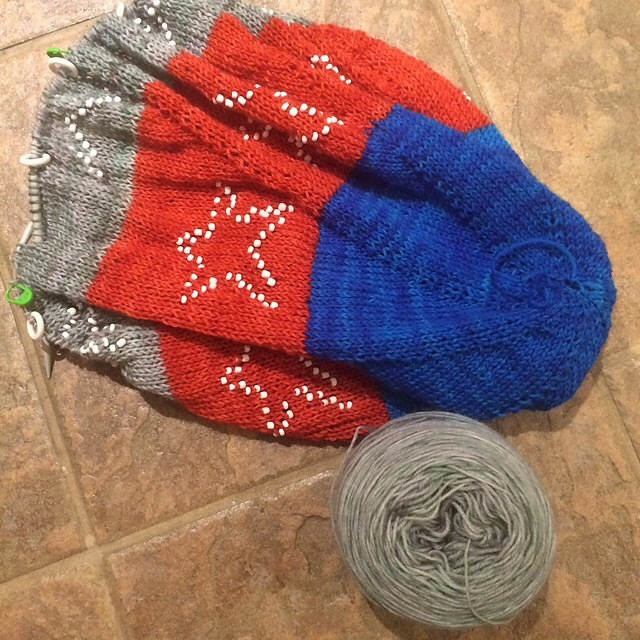 A knitting object is truly a labour of love, and yet I will constantly downplay the work that I have put into it. I’m sure I’m not alone in this habit. It’s time to change my attitude and accept the compliment. After all, I made the thing. I’m inwardly proud of the thing. Time to accept the love of the thing.